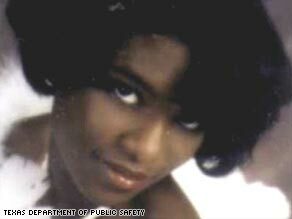 Cleashindra Hall was 18 and in the most exciting time of her life when she disappeared in May 1994, a week after her senior prom. She had spent hours preparing for the prom, choosing the perfect dress and getting her hair and nails done. She was an honor roll student and would give the commencement speech at her high school graduation in two weeks. Hall wanted to be a pediatrician and was looking forward to attending Tennessee State University to study pre-medicine. But all that came to an abrupt halt after 8:30 p.m. May 9, 1994, when she left her after-school job at the home office of Dr. Larry Amos in Pine Bluff, Arkansas. It was the last time she was seen. She usually called home when finished work, and one of her parents would pick her up. She spoke to her mother on the phone just after 8 p.m. Her mother expected her to call again soon for a ride home. She never did. Laurell Hall fell asleep waiting for her daughter’s call. She awoke abruptly at 1 a.m., realizing that her daughter had not called and had not come home. Amos, Hall’s employer, told police she had left his house at 8: 30 p.m., getting into a car with someone he assumed was giving her a ride. The next day, Hall’s parents reported her missing. “It’s been very frustrating for us. We feel that police didn’t do everything they could have done at the beginning, when she first went missing,” Laurell Hall said. “We had to wait 24 hours in those days before police would take a missing persons report.” It disturbs Laurell Hall that the home where her daughter was last seen was not searched for nearly two weeks after her daughter vanished. “I don’t understand why police could not search the home immediately to make sure there was no sign of a struggle there,” Hall said. “Maybe they would have found her press-on nails or hair extensions there; who knows” Amos did not return CNN’s phone call seeking comment. Police say the house was full of people the night Hall was working there. Lt. Terry Hopson of the Pine Bluff Police Department said a search of the Amos home did not turn up any evidence that Hall was injured or attacked there. “We do believe she left that house that night with someone she was acquainted with,” Hopson said. He did not elaborate. “We have spent many hours and manpower on this case over the years and continue to diligently investigate this case and developing leads,” Hopson said. He hinted that police have some idea of what happened to Hall that night but are seeking forensic evidence to support their theory. Police said they obtained phone records from the Amos home for the hours when Hall was working there. But they won’t say who, if anyone, may have spoken with Hall on the phone besides her mother. Both family and police say Hall was not the type to go somewhere without telling anyone. She also had no reason to escape her life and was not a troubled teen. Police consider the disappearance to be suspicious and believe that foul play is involved. However, they have no clues as to who might have abducted her. There is no description of the vehicle that may have picked Hall up from the Amos home, though police believe that if she got into a car with someone, it would have been someone she knew. According to family and friends, Hall did not have a boyfriend. Police did question and administer a polygraph to a boy in the community who Hall liked and was friendly with. The polygraph results are unclear, and police interrogation of the boy and their search of his vehicle did not provide any leads. When Hall disappeared in 1994, cell phone triangulation and other technologies commonly used in missing person cases today weren’t available. Police say they have no forensic evidence in this case. Their only hope is that someone comes forward with a tip after all these years. Cleashindra Hall is black, stands 5’8″ tall, weighs 120 pounds and has dark short hair, dark eyes and a surgical scar on her left knee. She was last seen with her hair in a ponytail, wearing a white shirt and short set with navy polka dots and stripes, white socks and small stud earrings. Police urge anyone with more information regarding the whereabouts of Cleashindra Hall to call the tip line at 870-543-5111. More than $10,000 in reward money is offered.